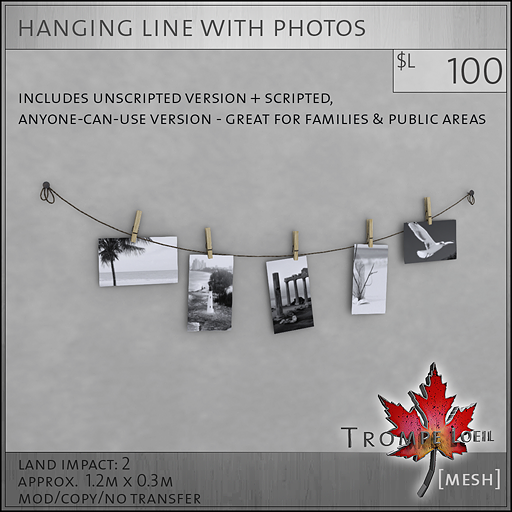 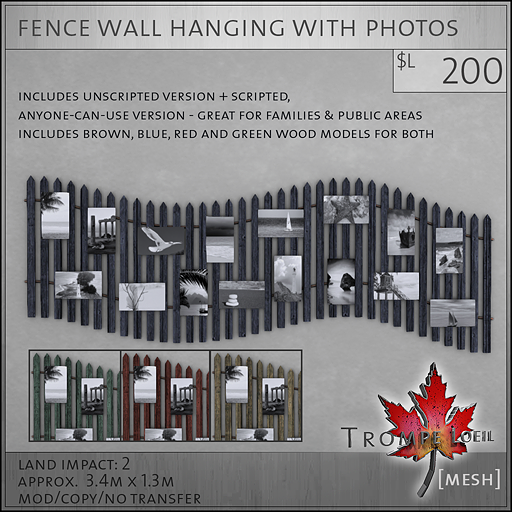 This is our first month at the new and popular Liaison Collaborative event, and on offer are some truly unique photo frames that include fun scripting that allow anyone to add their own full-permission photos! 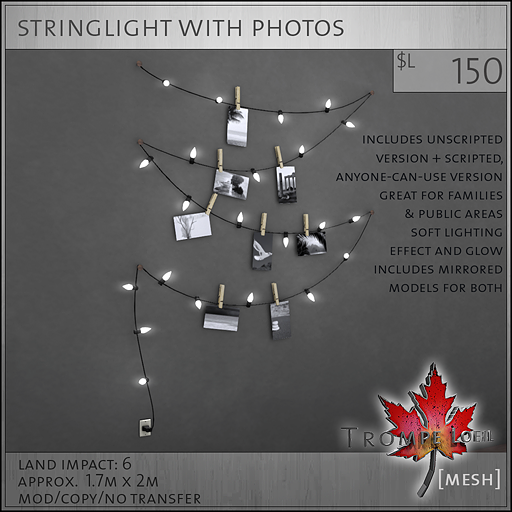 Each model includes a regular, unscripted version that allows owners to add their own photos the traditional way, via the Edit menu – plus a scripted model that allows anyone to add their own full permission images! 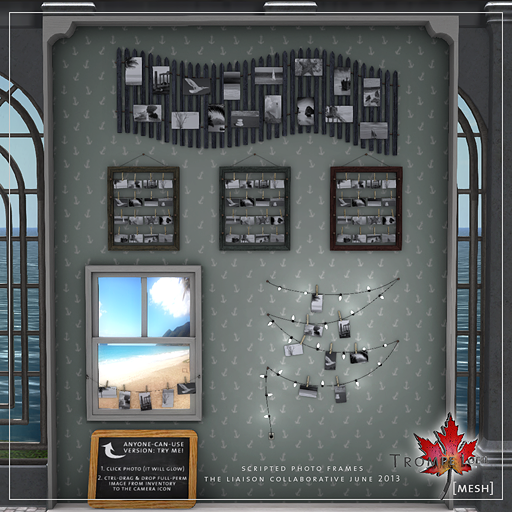 Its great for family homes, private regions, and public areas where you want to encourage photo sharing. 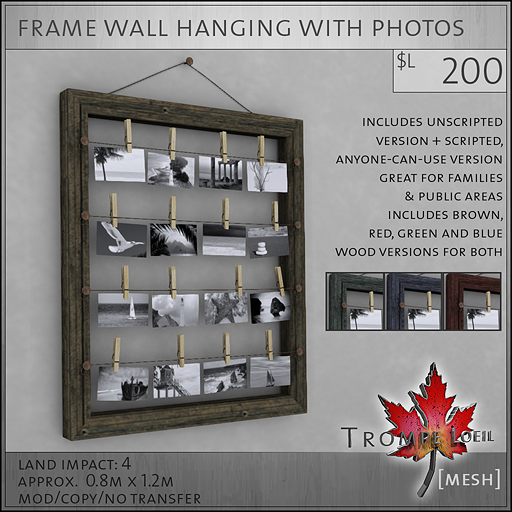 These photo frames are exclusively at The Liaison Collaborative through the middle of next month – swing on by!